One of the best aspects of Spring Lake Dental Care is our commitment to provide patients with the convenience of having a full range of treatment options right here under one roof. With his expertise in endodontics and considerable skills with root canal procedures, Dr. Firas Marsheh helps us fulfill this commitment. An experienced endodontist who has practiced both here in the U.S. and abroad, Dr. Marsheh offers advanced root canal therapy with a gentle touch and a focus on making treatment both comfortable and efficient. One of Dr. Marsheh’s highest priorities is ensuring that patients feel as comfortable as possible during treatment. He understands that many individuals feel apprehensive about root canal therapy and therefore may experience higher levels of anxiety for this type of procedure. With that in mind, Dr. Marsheh believes that, with the combination of a skilled endodontist and techniques that can minimize discomfort and make the treatment run more smoothly than ever, root canal therapy can ultimately be just as routine as many other dental procedures. Dr. Marsheh earned his dental degree overseas and holds a Doctorate of Dental Surgery from the New York University College of Dentistry. He later achieved his specialty degree in Endodontics from the Lutheran Medical Center in Brooklyn. 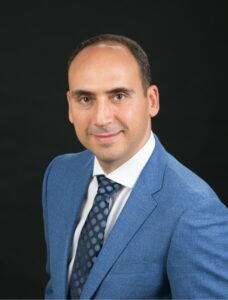 Dr. Marsheh is committed to pursuing continuing education and further honing his skills as an endodontist with the goal of consistently providing patients with the absolute latest treatment techniques. In addition to his extensive studies in the practice of endodontics, he has also conducted research on “Anxiety Toward Endodontic Treatment” at New York University. After practicing general dentistry for a year before focusing on his endodontic specialty, Dr. Marsheh spent a number of years practicing internationally. During this time, he provided endodontic treatment for patients living in areas without adequate access to quality dental care. In Dr. Marsheh’s spare time, he is an avid sports enthusiast who participates in a number of activities, including soccer, swimming, and tennis. Dr. Marsheh is a welcome addition to our team of dentists here at Spring Lake Dental Care and he is proud to serve the Monmouth County community with state-of-the-art endodontic treatment options!